Women will be urged to book the five-minute test which could save their life as part of a major awareness drive for cervical cancer. The NHS is launching its first national cervical cancer campaign today amid the worst screening levels in 20 years. Almost a third of women aged 25 to 49 have missed their latest smear test and in some surgeries three quarters have not had it. Experts say have attributed the fall to fear and embarrassment as well as a lack of convenient GP appointments. The campaign centres on a 30-second TV advert with a stark warning that the illness is claiming the lives of two women every day. It explains how the procedure can prevent the cancer from developing by flagging up harmful cells which can then be removed. 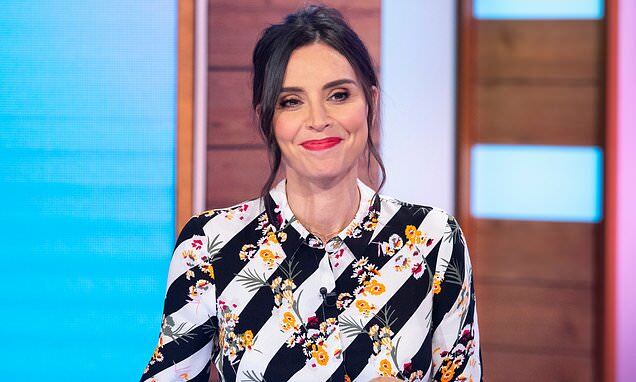 The campaign, which will run for six weeks, is being overseen by Public Health England and endorsed by Christine Lampard, presenter of ITV’s Loose Women. Professor Anne Mackie, director of screening programmes at Public Health England said: ‘The decline in numbers getting screened for cervical cancer is a major concern as it means millions of women are missing out on a potentially life-saving test. ‘Two women die every day in England from cervical cancer, yet it is one of the most preventable cancers if caught early.